The Financial Conduct Authority (FCA) has fined Goldman Sachs International (GSI) £34.3 million for failing to properly report 220.2 million transactions, reports Jane Connolly. GSI was found to have not provided accurate and timely reporting relating to 220.2 million transaction reports between November 2007 and March 2017. A penalty of just over £49 million would have been imposed, had GSI not agreed to resolve the case and qualified for a 30% discount. Transaction reports help to underwrite market integrity, supervise firms and markets, identify potential instances of market abuse and combat financial crime. 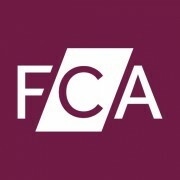 Mark Steward, FCA executive director of enforcement and market oversight, says that all firms should be checking their systems and fixing problems promptly. GSI’s total errors comprised failing to provide complete, accurate and timely information in relation to approximately 213.6 million reportable transactions and erroneously reporting 6.6 million transactions that were not actually reportable.